Mobile phones are just a few of the most plausible innovations in the information technology age. Who would imagine the possibility of video call which can connect two people mile away? Or even the probability of staying in touch with your friends using the social media applications? All of these are now in reality with the palm size gadgets, and the breakthrough is even getting crazier because of the competition in the market. 1. Bacteria from "human wastes" may stick around your mobile phone. - Your busy and tight schedule is understandable, but using your mobile phone while defecating is quite disgusting. The germs on your hands as you do your necessity may reside on your phone. Since you cannot wash your gadget, it may be transferred again to your hands even after hand washing. 2. You may transfer the bacteria to others. - The contamination does not end there. After using the bathroom or the toilet, your phone that serves as a habitat of sickening bacteria can further affect other people. Imagine your kid will borrow it for games or you, hugging your partner with your infected hands. It is advisable for you to use wet wipes even on your phone to avoid disease causing germs. If you still cannot believe it, certain people in the medical field reiterated that E-coli, salmomella, Clostridium difficile and norivirus are just a few of the very dangerous bacteria which can be found on human solid waste. They may affect the digestive system, the skin, or may even be a cause of fatal infections when transmitted. 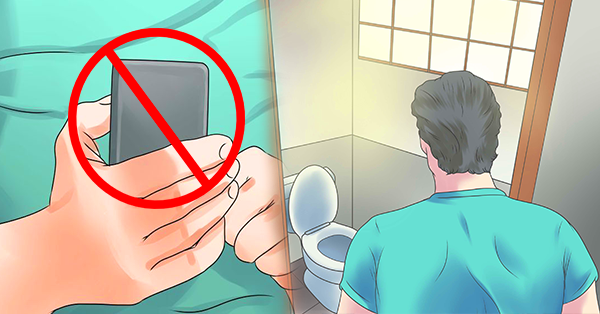 So, you better think twice next time you cannot stop your fingers tapping on your most loved mobile phone in the toilet and bathroom. unrestricted and unnoticeable access to your partner/spouse/anybody’s social account, email,E.T.C Getting the job done is as simple as sending an email to cyberhackanswers@gmail.com stating what you want to do. The best rate and money back guaranteed in a rare case of dissatisfaction.